Sun King is one of the best-known and loved local breweries in Central Indiana, and NUVO readers know that, because Sun King is consistently anointed “best” locally made beer. Creations like Osiris Pale Ale, which is dry-hopped toward the end of fermentation to capture the lovely floral aroma and flavor, Sunlight Cream Ale and Wee Mac Scottish Ale (four-pack cans $10-11, growlers $4, $6.50 fill) put Sun King on the map — and keeps them there. If you need a gift for a friend (over the legal age, please! ), consider a growler of beer or a selection of beer swag. The latest in local craft brew news, including the Brew Bracket Inaugural Spring Tournament at the Fairgrounds. Indiana Craft Beer Week 2016 has led to quite a few brewery collaborations and some exciting news for the Red Key Tavern. event involving a few local bars and free beer with purchase. The Indianapolis Indians play their first home game of 2011 on Friday, and Sun King has a new brew to commemorate the season. A roundup of the latest in local craft brewing, including this week's tappings; and congratulations to the Indiana Brew Bracket winners. The second installment of NUVO's Brewers Roundtable gave local brewers the chance to offer insight to home- vs. pro brewing. This year's Best of Indy celebration at Sun King Brewery featured food and music from this year's winners, as well as a crowd of devoted NUVO fans! Ballard proclaims Sun King Day across our fair city, The Ram gets to tapping and we remember Northside News founder and Brugge brewer Matt Elliott. Goliathon rocked the Sun King Local Underground Tent on Friday, January 3. Photos of Sunday Funday block party by Kristen Pugh, including DJs Crookshanks, Action Jackson, A-Squared Metrognome and more. Photos of Sunday Funday block party by Kristen Pugh including Indian City Weather, Hotfox, Freddie Bunz, NoExit, Ghostown and more. Photos of Sunday Funday block party by Kristen Pugh including Oreo Jones and Party Lines. Sun King's beers are ubiquitous - from liquor stores to restaurants and bars to Victory Field and beyond - and we can drink to that! Austin, TX-based rocker Scott H. Biram plans to unleash his incendiary Dirty Old One Man Band live set in all its bloody, whiskey-soaked glory upon the Sun King Brewery 5th anniversary party. This year, on Second Mondays, think and drink during Indiana based trivia at Sun King Brewery. Indiana Humanities and Sun King Brewery have collaborated to bring you a truly original twist to trivia night. Bob Whitt takes over the helm at Sun King Brewing Co.
Get to know Sun King's new president, Bob Whitt, where he is from, and where he plans to take Indy's beloved brewery. Cover: A Historic Bar Crawl through Indianapolis. Head back into the Cold War Era in Indianapolis and have a few drinks along the way. Rock Bottom Downtown is turning 20 and we look over the past 20 years and Indy's first microbrewery did for our city. From Sun King to the soon-to-open Round Town Brewery, many of Indy's brewers have had their start or at least passed through Rock Bottom's Downtown location. Sun King turns seven, Flat 12 has a beer for your pup, Broad Ripple Brew Pub's ESB is back, and many more beer happenings through the rest of June! are jumping on the rye train. A camp out beer fest, lots of new beers from Half Moon, Grand Junction, Deviate and more! Tristan Schmid, communications director of the Brewers of Indiana Guild, tells his journey through the world of beer and how he has helped (along with a huge beer drinking community) to make Indiana a beer state. So many new brews coming out this summer, Rita breaks down all of the new beers here in the Circle City. Hops and Flip-Flops, WAMMfest, TwoDEEP's TwoYEAR party and so much more is happening in the world of beer this August. 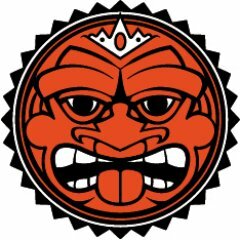 Sun King's CANvitational is back on September 10 with 50+ breweries, including many that aren't available in the state of Indiana. It's one of Indy's favorite beer festivals and tickets go fast. Sun King's low hop beers are now available in grocery stores and convenience stores after years of only being available at liquor stores and the brewery. Over five years Sun King has made different brews coinciding with Broadway shows, not they're the first brewery to ever win a Star of Touring Broadway Award. Sun King Brewery opening a new distillery and tap room in Carmel. Sun King Brewing Co. is expanding into the distillery market starting in 2017 in Carmel's Midtown District. Indiana beers brought home quite a few awards this weekend including the gold for Small Brewpub of the Year. A new Indy brewery opens, a popular Greenwood brewery moves, People's expands to Lebanon and more.